Luxury whipped body butter scented with a festive mulled cider apple and cinnamon fragrance. The fragrance oils we use are complex blends of different scents so they have the feel of a high quality perfume. Now on sale at 50% off! Our body butter is lovingly produced by hand by whipping up natural mango butter and hazelnut oil until it is fluffy then adding natural essential oils or luxury fragrance. 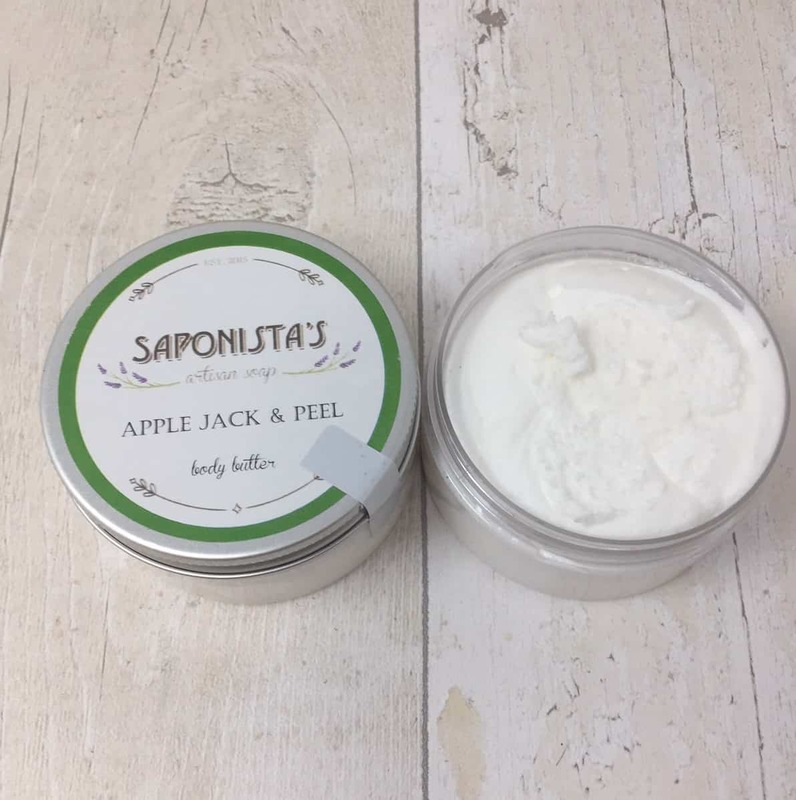 As the product consists mainly of natural oils and butters it is an extremely rich, moisturising product recommended for those with dry skin. It’s highly concentrated so a small amount will go a long way.